Deaths related to auto accidents in the United States, including cars, trucks and SUVs, have reached an all-time low, according to the Center for Disease Control and Prevention. However, while we are making progress when it comes to motor vehicle safety, motorcycle safety has picked up on a different trend. The number of motorcycle fatalities spanning from 1999 to 2008 more than doubled, reaching an all-time high. 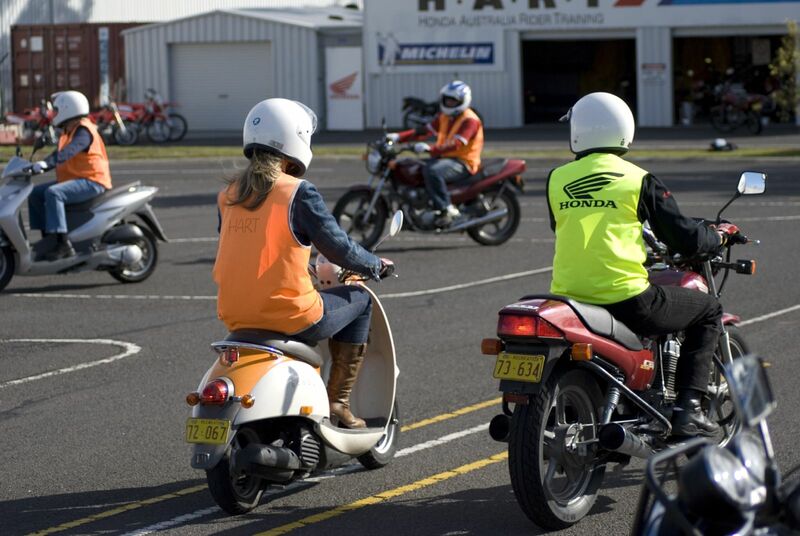 Even though it is estimated that motorcyclists are 35 times more likely to be involved in a deadly accident than those travelling in cars, motorcycle use continues to rise, with more new riders registering their bikes every day. Take A Safety Course – Every motorcycle rider must complete a basic motorcycle safety course before obtaining a motorcycle license in Florida. This safety education class will help you master the entry-level skills needed to become a responsible rider. Antilock Brakes are a Great Investment – ABS is a feature that is now available on many motorcycle models. According to data compiled by the Insurance Institute for Highway Safety, riders with these brakes are 37 percent less likely to be involved in a fatal collision. While these brakes could cost you a couple extra hundred dollars, the added safety benefits could save your life. Ride at Your Skill Level – Riding a motorcycle is not necessarily a skill you can master overnight. Operating these bikes requires a certain skill set that could take years to fully grasp. Always be a defensive driver and avoid maneuvers that you know you are not ready for so that you can avoid a tragic accident. Avoid Road Hazards and Riding in Bad Weather – Motorcycles do not grip pavement as well as four-wheeled automobiles, so try to avoid riding in the rain and always keep a close watch out for gravel, potholes and other dangerous road conditions that could lead to you losing control of your bike. Wear a Helmet – If you are at least 21 years old and have a minimum medical insurance policy of $10,000, you can evade wearing a helmet while riding a motorcycle in Florida. However, the bottom line is that wearing a helmet is the most important thing you can do to keep yourself safe while riding. Head injuries are the leading cause of death in motorcyclist, and a helmet can protect your brain in the event you are involved in a crash. If you or someone you love has been injured in a motorcycle accident, a Pasco County Motorcycle Accident Injury Lawyer at Whittel & Melton can help you decide what is best for you and your family. We will work hard to make sure you receive the financial compensation you deserve for the harm that was caused to you. For a free consultation to learn more about your legal rights and options, please call us today at 727-847-2299 or contact us online.